Another red with black front spoiler, polished, photographed and driven today. Stripped the turbo side of the blue car and welded a new wastegate flange on the manifold. Didn't refit it as I may try and get it ceramic coated internally tomorrow. 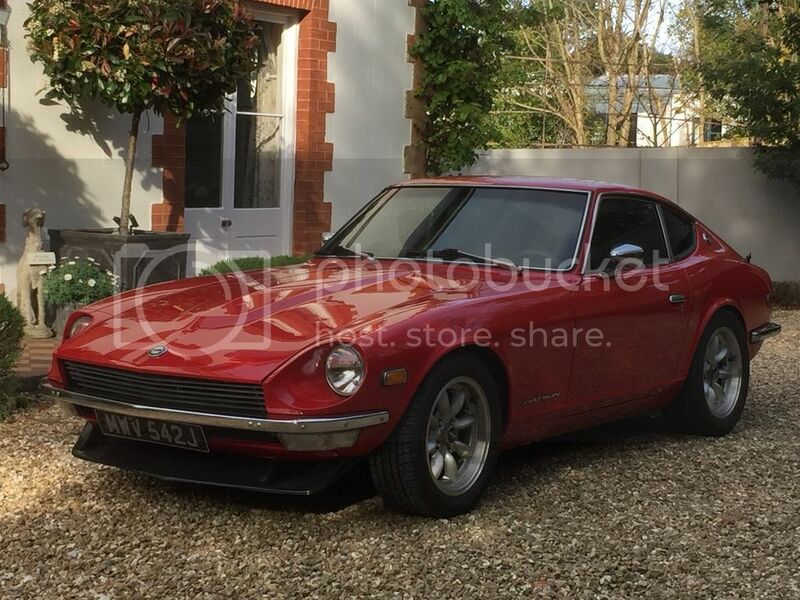 Re-discovered the Z, took her out for a very decent blast, fell in love again. Rediscovered the forum. Met my old American boss for lunch who brought me lovely presents in his suitcase! Thanks Jon! Great to be back, been too long and missed you guys/forum banter! got them from a member on here couple o years back i think. i fitted a new style fuse box to day to run most of my ancillaries rather than have the bunch of wires sandwiched into the battery clamp. i also started refurbishing the engine bay lamp which is slowly rusting. and i painted my ash try the same colour as the car. Jon, do you have a make on those wheels???? Is that your personal car? Very nice indeed. Mike, they're British made by 100+, who I think may be out of business. I haven't been able to find much out about them. Yes one of my own personal cars. Looks understated but far from it under the skin and very quick.